Almost every team, from the smallest group to the largest company, is looking for an efficient way to manage projects and tasks in a way that everyone can understand. Finding the right platform to use as a team management tool can be tough, but monday can help. The tool is intuitive while helping you centralize everything so that your team can be successful. Here’s a look at how it works. Forget those piles of sticky notes or whiteboards that never get erased, monday can hold all of it in one place. Monday is a centralized platform for teams to manage every detail of their work, from high-level roadmap planning to the specifics of day-to-day tasks, while building a culture of transparency. The software is designed to help you boost productivity, improve communication, and make team collaboration nearly effortless. And it comes in a sleek, colorful shell that’s easy to use and understand. Essentially, monday is a virtual board where you can add information that everyone can see. From status updates, to timelines, to dates and tasks, everything is in one location. Monday is a team management tool for teams of all sizes, from freelancers working together to thousands collaborating across the globe. And there’s proof in some of the companies that trust Monday for their team management needs, just a few of the 22,000-plus customers include WeWork, Samsung, Discovery Channel, Wix, NBC, General Assembly, McDonalds, Uber, Wix, AOL, and Adidas. While it can work for any team, you don’t have to be a high-tech worker to understand and use it. The tool is popular among non-tech teams, often replacing burdensome spreadsheets, whiteboards, and excessively long meetings. The tool aims to make every user feel empowered and part of something bigger than their own individual tasks, and as a result, to boost collective productivity and transparency. So, what can monday do for you? The key features of this team management tool are that you can communicate and collaborate in a simple and transparent interface. It can actually help empower members of the team because everything is right out there. Everyone stays on task and on target and knows what is happening with a project at all times. Everything is managed from a board so that all tasks, projects and to-dos are in a single location. Plus, you can assign people to tasks and see how their workload varies over time. There’s a key point of team communication, which can help eliminate all those long group emails. Mention people or groups, enable desktop notification, and comment right in monday. Drag-and-drop tools make it easy to share documents. Visualize schedule and project timelines. You can actually see the whole team’s schedule at once if you like, and plan accordingly. There’s no significant set-up time with monday; it’s so easy to use you can start immediately. Share projects with clients as guest users to projects. Search tools allow you to find anything your team has ever used in the platform with just a few clicks. Colorful status updates and changes help you see project updates at a glance. Monday is completely customizable so you can manage workflows and processes, keep your team on track, and do practically anything your business (small or large) needs right from the platform. Monday integrates with other tools that you are probably already using, such as Dropbox, Google Calendar, Google Drive, Trello, Asana, Slack and more. Plus, there’s a mobile app so you can stay on top of projects anywhere, any time on your mobile phone. Think monday might be the right team management solution for you? Start with a free account (no credit card needed) to play with all the features and see how it could work for your team. Pricing varies based on team size and features needed, and plans start at $25 per month. If you like monday, there are also discounts available for annual and two-year plans. Plus, users can change plans at any time without a penalty. In just a couple of minutes, you can have your team running on monday. Thanks to a simple, visual interface, you’ll understand how to use the intuitive tool. Plus, there are great templates based on project types to get you up and running even faster. Planning an event? There’s a template for that. Running a construction schedule? There’s a template for that. Need to plan social media or content? Yes, there are templates for those tasks and so many other project types. The visual interface makes understanding projects and task quick and easy. Monday is a robust team management tool that is packed with features and is easy to use. Whether you are working on a handful of simple collaborate projects or run a major corporation, Monday can be a solution to help keep your team communicating effectively. It doesn’t cost anything to look around, see if monday is the right team management solution for you. 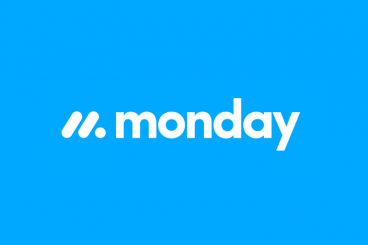 Our thanks to Monday.com for sponsoring this post, and helping to support Design Shack.